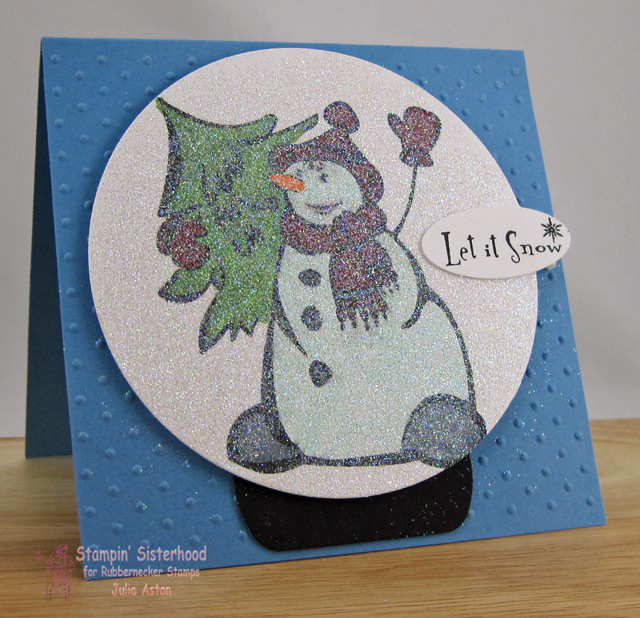 Create With Me: A Snow Globe, Gingerbread Men and a Rosette! wow these are all so fun and super cute...Love them..
love the fun snow globe, Julia! and what's not to love about the gingerbread guys...great use of that yummy color too, it invokes the whole gingery smell of cookies baking in the oven for me. And again a nice job with this weeks CC...those are some hard colors for me. Love the sparkly snow globe! The gingerbread man card is so cute too! Great cards...have a very Merry Christmas! Beautiful collection of cards Julia! Love the glittery goodness and scrumptious gingerbread peeps! Great looking snowglobe card and I commented on the tea party how much I liked the pile of ginger boys! So cute! Great cards Julia!!! I love the snow globe! Wonderful cards! LOVE the sparkly snowglobe! have a very merrry christmas Julia! Three fabulous cards Julia, love the gingerbread men thank you card! Merry Christmas and happy new year! Wow, what a cute bunch of cards! Love them all! 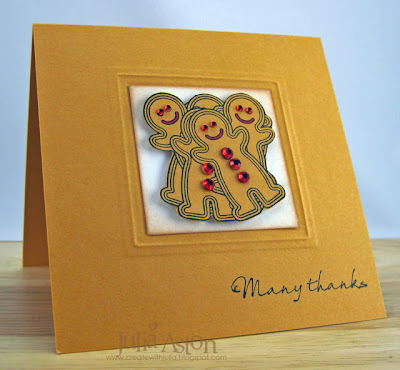 My favorite is the stack of gingerbread men--love their sparkly buttons and that cool embossed frame! Your cards are all fabulous, Julia!!! The snow globe card is sooo pretty and sparkly and how cute are those gingerbread men!!!! 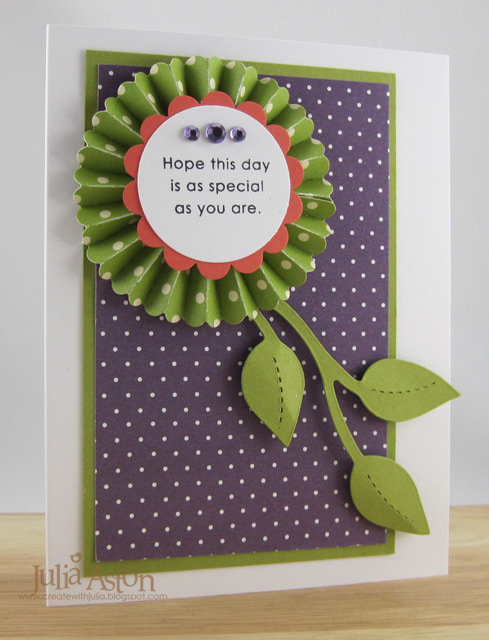 Love your pretty rosette, also!! I hope you had a wonderful Christmas!! !